All Pride Events in SE PA are Now Smoke-Free!! 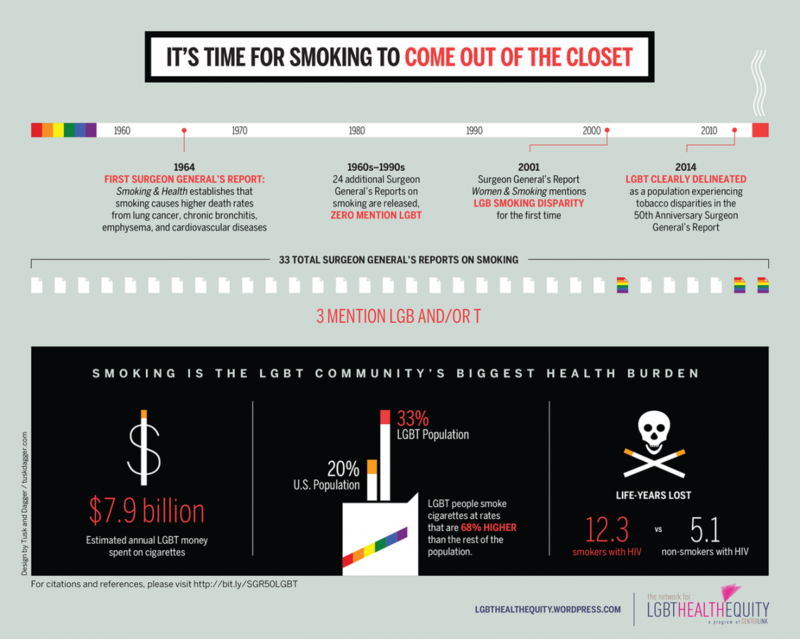 33% of LGBT individuals smoke in comparison to 20% of the general U.S. population. The Southeastern Pennsylvania Tobacco Control Project and Health Promotion Council partner with the LGBT Center of Central PA, William Way, and Bradbury-Sullivan LGBT Community Center to reduce tobacco-related burdens among the LGBTQA community; a disparitely impacted population. Prevention and Quitting Resources (education about industry tactics and targeting, health disparities, AIDS and HIV treatment and tobacco implications, and e-cig/vaping education, and more!). Tobacco Dependence Treatment (quit smoking) coaching and nicotine replacement in various clinical and community settings. Call 1-800-Quit Now and ask for classes near you. Speakers, presenters, or trainings for health care professionals, counselors, staff, or community members. Topics and content can be customized to meet your audience or knowledge needs. For information or to request a speaker, tailored education or prevention programs, please contact us.